The monthly Welsh language temperance periodical of the Independent Order of Good Templars. The periodical's main contents were articles on temperance, new and reports on the Order and its activities and poetry. 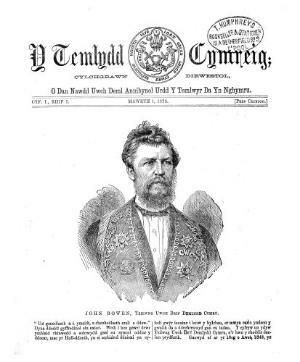 The periodical was edited by the minister, temperance advocate and eisteddfodwr, John Eiddon Jones (1841-1903) until September 1877, by Henry Jones Williams and Owen N. Jones until April 1878, and subsequently by William Gwyddno Roberts. Associated titles: Y Dyngarwr (1879).